We’re very excited to announce that we’ll be exhibiting at this year’s Om Yoga Show London 2016, from October 21st-23rd. This year will be held at Alexandra Palace, a beautiful North London venue boasting great panoramic views of the city. The show is looking to be a great one, with over 200 free classes throughout the weekend as well as the first Om Yoga Show Aerial Yoga Class, with free sessions on all three days equipped with rigged swings to get your practice in the air. Spend your time out of yoga practice to experience over 250 exhibitors. You’ll find everything yoga related from clothing and books, to snacks, equipment and retreats (from yours truly!) We’ll be at stand G13, so make sure to come and say hello! 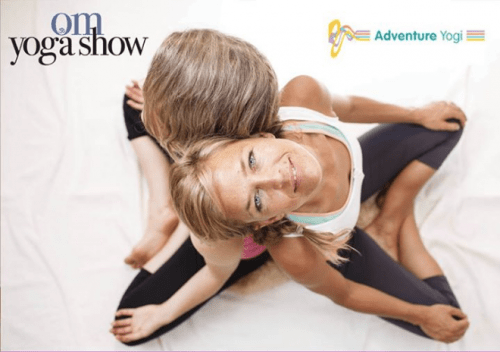 Whether you’re new to the Om Yoga Show or have visited before, there’s plenty of enjoyable things to see and do at this incredible event. Together we build the Agni-fire to detox, with pranayama in asana. Utilising the sound healing science of mantras, awakening mudras and activating bandhas – energising seals in each asana. Offering supportive adjustments, Thai massage bodywork and Asana calibrations to suit your ayurvedic dosha constitution and condition for optimal wellbeing. To immerse ourselves in the Nectarous bliss of live music kirtan infused in asana partner yoga flow. We dive into the depths of this BhaktiYoga immersion, human mandalas, with woven sacred chants, healing divine mantras, sound baths and soundscapes of vocal overtones harmonium, to lull us into the sweetness of devotion culminating in surrender as we melt down into savasana yoga Nidra. This unique flow will weave together the unifying sadhana of partner yoga in flowing synchronised undulations to live kirtan with Moksha Music. Together we unlock the doorways of our being with the keys of pranayama to open our energy gates enabling an embodiment of the light we open to. Together we chant awakening mantras through our asanas, utilising the ancient alchemy of bandhas and mudras to open the heart to the divine, to our true nature. Come back to your Self, the heart of all. We look forward to seeing you there, both old faces and new!